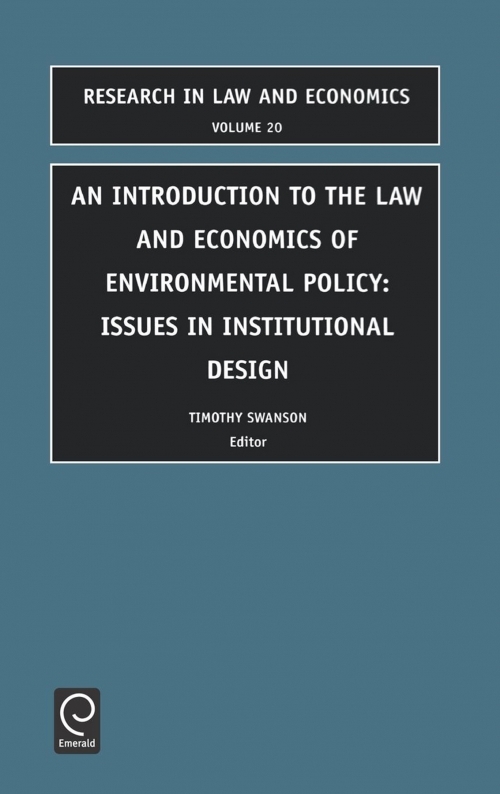 "An Introduction to the Law and Economics of Environmental Policy" emphasises the importance of institutional design in addressing social problems. Three important issues concerning institutional design are: policies, instruments, and enforcement. This volume surveys each of the issues, and emphasises the common themes arising in optimal institutional design. These themes include the cost of complex institutional design, and the role of private institutions attaining social objects. This book will be particularly useful to law schools, departments of government, policy or economics, environmental managers and insurance companies. 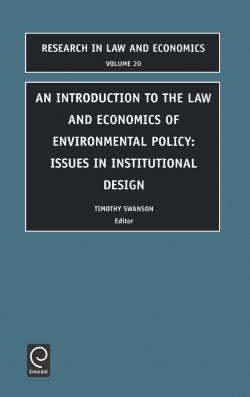 Part A: The Law and Economics of Environmental Policy Making. Optimal procedure for policy making. The Aarhus Convention and the politics of process: The political economy of procedural environmental rights (S. Rose-Ackerman, A.A. Halpaap). Optimal information for policy making. Environmental regulatory decision-making under uncertainty (R.B. Stewart). Optimal use of economics in policy making. Can law and economics stand the purchase of moral satisfaction? (R.O. Zerbe). Individual preference based values and environmental decision making: Should valuation have its day in court? (A. Kontoleon et al.). Part B: The Law and Economics of Instrument Choice and Design. Optimal instrument choice. Toward a total-cost approach to environmental instrumental instrument choice (D.H. Cole, P.Z. Grossman). The choice of instruments for environmental policy: Liability or regulation? (M. Boyer, D. Porrini). Optimal instrument design. Environmental damage insurance in theory and practice (M. Faure). The design of marketable permit schemes to control local and regional pollutants (J.R. Nash, R.L. Revesz). Part C: The Law and Economics of Compliance and Enforcement. Optimal monitoring institutions. Monitoring for latent liabilities: When is it necessary and who should do it? (T. Swanson, R. Mason). Financial responsibility for environmental obligations: Are bonding and assurance rules fulfilling their promise? (J. Boyd). Optimal enforcement. Pollution and penalties (A. Ogus, C. Abbot). 8 things about enforcement that seem obvious but may not be (A. Heyes).